The parliament in Northern Cyprus has approved the amendments to the penal law, which takes homosexuality out of the scope of crime and abolish the death penalty. The main opposition National Unity Party (UBP) did not participate in the voting of the controversial amendments, which brought penal law Chapter 154 dating back to the British Colonial Administration, in line with the modern principles of rule of law and human rights. 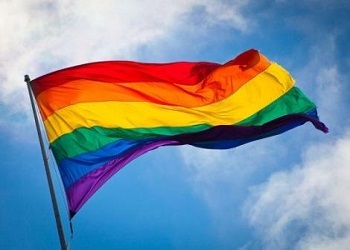 The amendments, which will go into effect after being published in Northern Cypriot official gazette takes homosexuality out of the scope of crime, abolishes death penalty, increases penalties against the sexual exploitation of children and the mentally disabled and modernizes the provisions on violence against women and prostitution. …but good to know that it is no more. I think the Penal Code had something very antiquated here, but now the government is on the right track! One of the good things I loved having a home now out in North Cyprus, and also a home here in Scotland,I leave the Gays and Lesbians, behind. Now the thought of North Cyprus giving into the above, leave me asking Why? North Cyprus will increase exploitation of children , without a doubt . Homosexuality is in my opinion neither criminal nor a disease, as it has often been shown in the past, and it has nothing to do with the exploitation of children. On the contrary, children are more often abused by heterosexuals.